Savannah is a place where the charm and elegance of eras past intertwine with cutting-edge country club life. 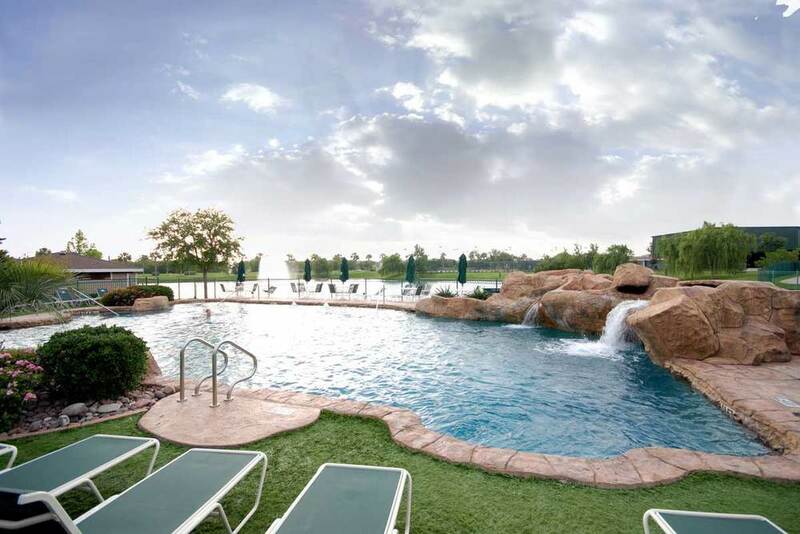 The breathtaking Club Savannah and its many recreational features mean you never have to leave home to enjoy the fun! An impressive community that’s full of style – and luxurious amenities. The 20,000-square-foot clubhouse features a ballroom, library, kitchen, café, weight room, sauna, conference room, and more. For outside enjoyment, this 2,500-home community has baseball, basketball and multiple soccer fields, lakes, pools, a spray park, and play structures. 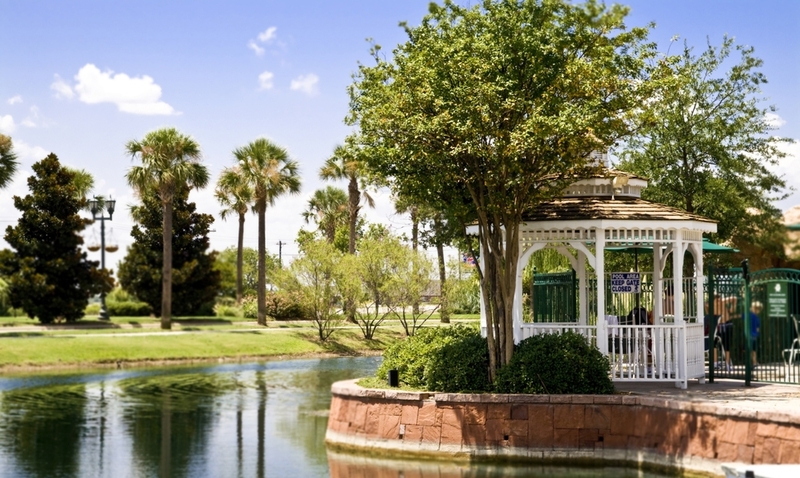 Four tennis courts, miles of walking trails, sand volleyball and more await you in Savannah. This country club offers all the fun and amenities anyone could hope for. This 575 acre master-planned community was carefully created with beautiful streetscapes, extensive landscaping new home designs created exclusively for Savannah, and recreational features more extensive than the finest resorts. It is everything you've aspired to and so much more. 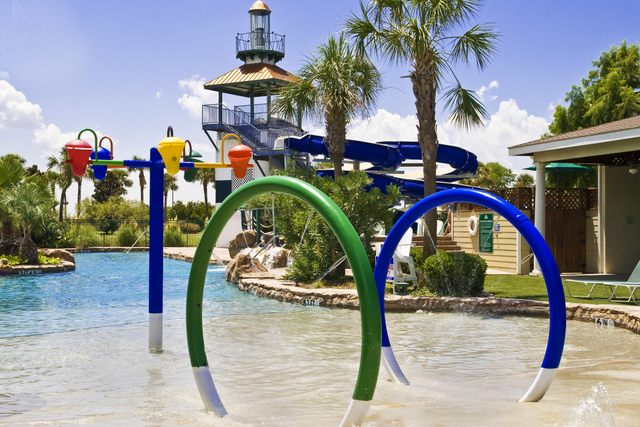 Here you'll live and play in a friendly small town atmosphere with our breathtaking Club Savannah, a private water park, neighborhood parks, playgrounds, lakes and trails, making the most of your life and your family's time together. The private water park, designed for all ages, includes a Jr. Olympic swimming pool with 25-meter racing lanes. 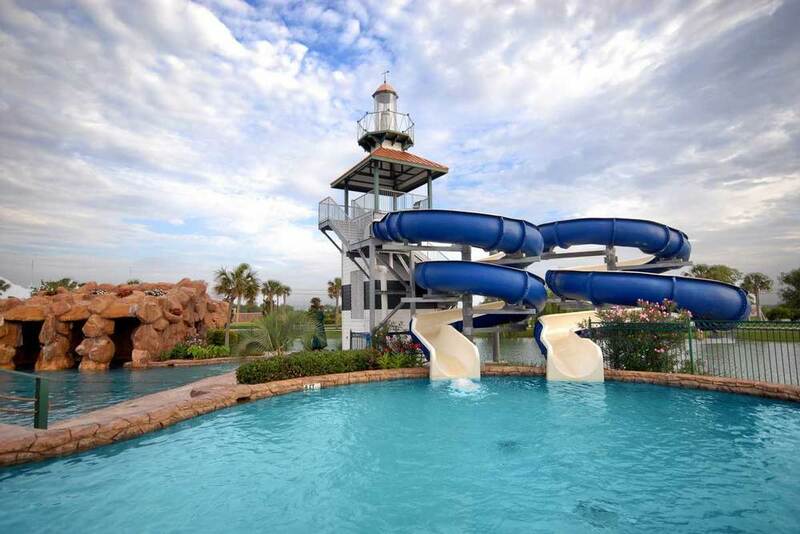 16’- and 25’-tall open-air slides that are 200’ long exit into a separate pool that cascades three feet to the main pool. 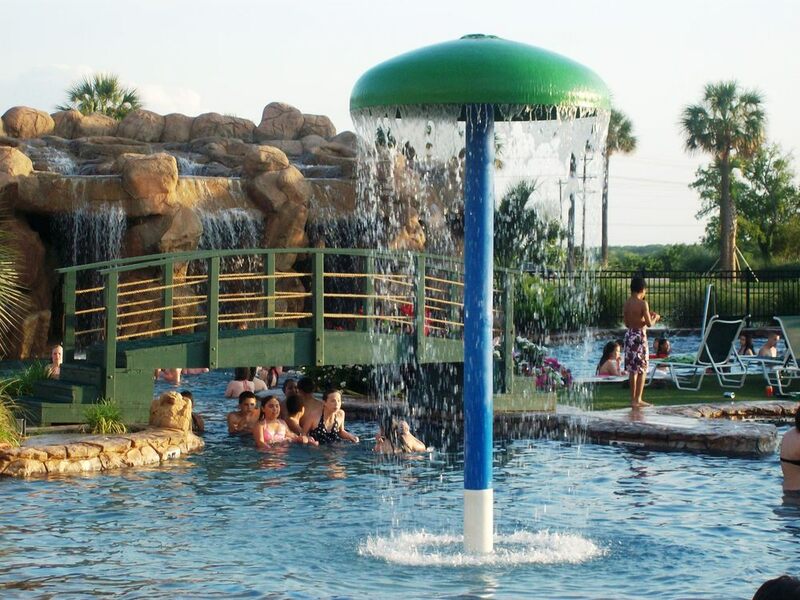 A separate adult pool features a romantic waterfall, an 11’ deep end and water volleyball. An amazing rock grotto and a 15’-tall rock waterfall tumbling into the lake and pool add to the ambiance. The spray park, beach entry kids’ pool with tanning island, separate covered sand beach and bath house complete the features. There’s no better place to have a party than our pool pavilions. The Savannah paddle boats "Bogey", "Donald" are available for your enjoyment during the Pool Season (Available Weekends only from 1 pm - 5 pm). These boats are fun for all ages! Please call ahead to confirm availability. You will need to sign a liability form, so please bring a photo ID with your Savannah address on it. This wonderful addition to Savannah, opened in the Summer of 2016 and has been a popular way to beat the heat with residents. Holly Park Pool is a junior Olympic size pool with the capacity for 200 guests. This pool boasts an extended pool season, so once the water park closes for the season, the Holly Park pool is still an option for those that still want to swim and sun. The Pool also has a pool pavilion for parties that adds an additional option for your pool party. Baseball/Softball Field - Palmero Park, Savannah's regulation size baseball/softball field, is ready for play. It is located on Magnolia Boulevard adjacent to the playground facilities. Palmero Park facilities include player benches, backstop, bases, and picnic tables for spectators to enjoy the game. Basketball - The covered Basketball Pavilion is fully operational and available for those 3-on-3 pickup games or full court 5-on-5's. The full size court is covered and lighted so that play can continue in the evenings. Roller blade enthusiasts will find this area perfect for their sport as well. 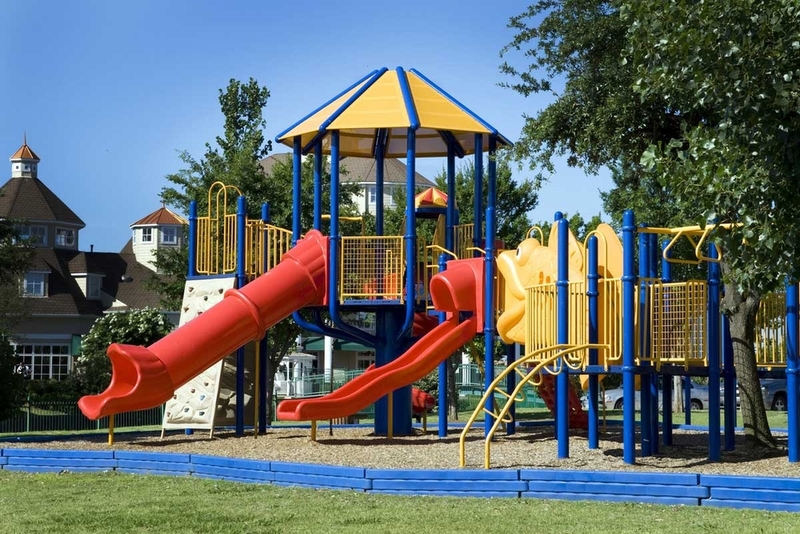 Play Structures and Picnic Areas - Playground equipment and numerous picnic areas have been placed throughout the neighborhood to provide lots of opportunity for fun and family time. Soccer Fields - For kids or adults who want to follow in the footsteps of Pele, Savannah offers an irrigated, landscaped, regulation soccer field. Located adjacent to the baseball filed on Magnolia Boulevard, this 419 tiff Bermuda soccer field may be used for league games or just a friendly pick up. Sand Volleyball Court - Whether you're into league play or a little two-on-two the sand volleyball court will offer a great opportunity to dive for a save or dig out a spike without scraping your knees. Tennis Complex - Savannah's tennis complex is located on the corner of Dogwood Trails and Magnolia Boulevard. It features four courts that are regulation size, fully lighted and protected by wind screens to enhance your playing enjoyment. All lights are on a timer system for nighttime play. Dog Parks - Savannah has four dog parks placed throughout the neighborhood. Four Paws Park - Located between Cotton Exchange Drive & Spanish Moss Drive. Cherokee Rose Park - Located at the end of Cherokee Rose Trail. Shawnee Park - Located between Oglethorpe & Shawnee, this park also has a dog park for both large and small dogs. There are many amenities that residents can utilize to either relax or stay active. Safety when using the amenities should always be at the forefront of a community. Please see the rules and guidelines set forth by the Board of Directors for your safety while you enjoy the best that Savannah has to offer.